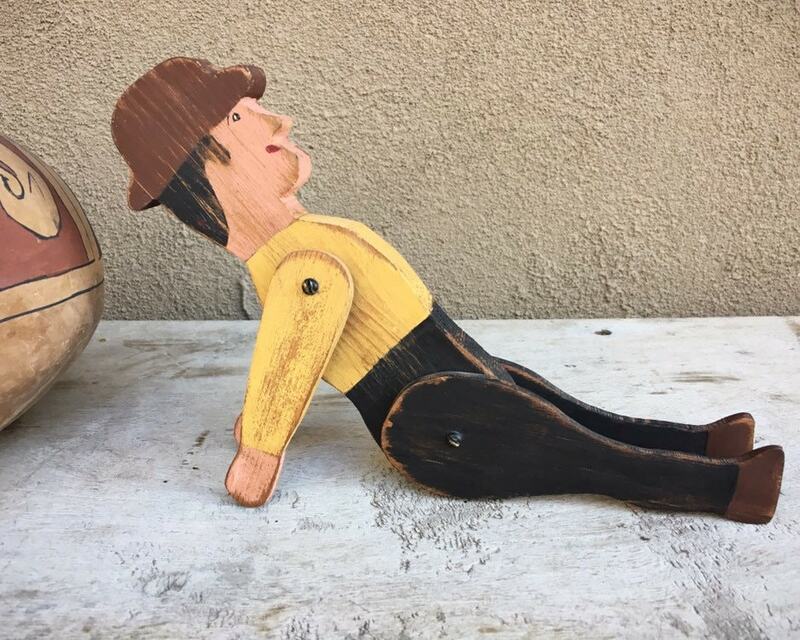 This vintage wooden folk art guy is all hand painted and has arms and legs that move. 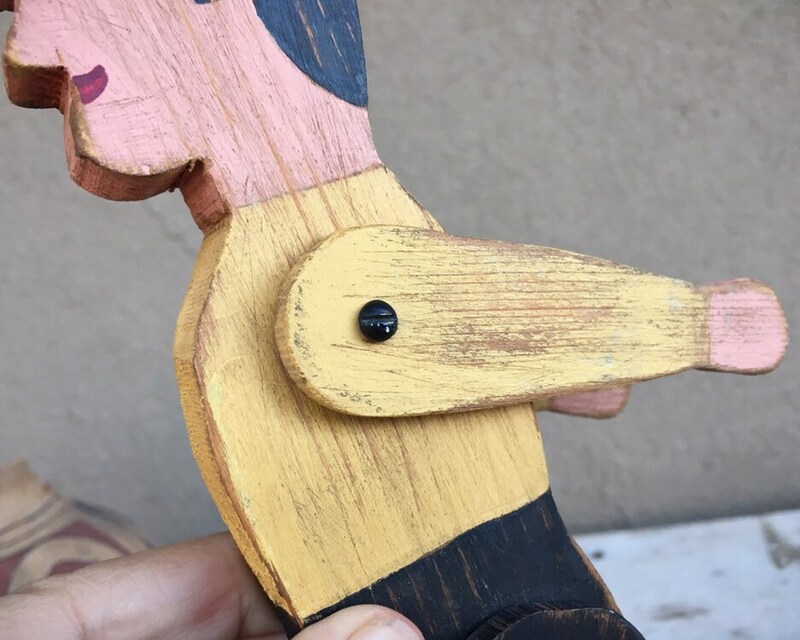 We can tell from the flat head screws that he is older, possibly 1930s to 1950s. 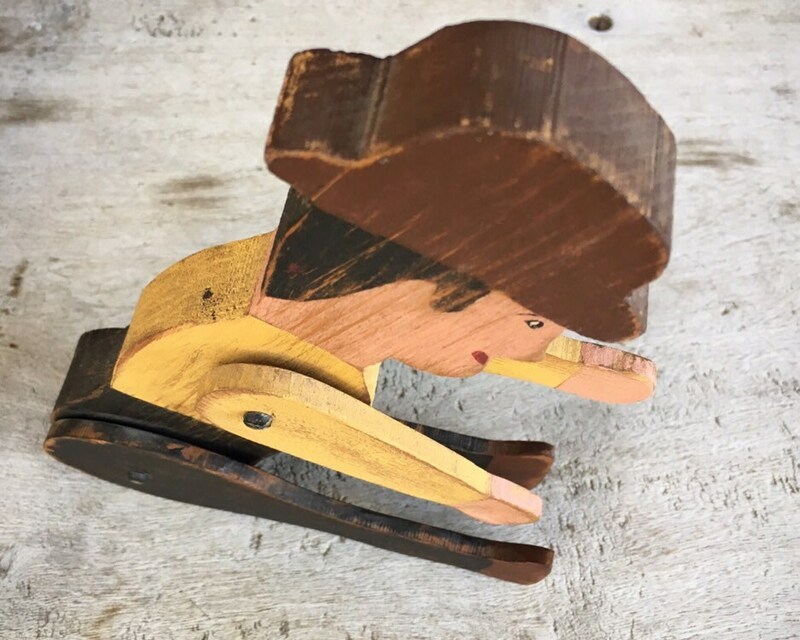 He looks like the kind of cut-out wooden figural used in whirligigs, although I don't see any indication that he was attached to anything, although he could have been made as a piece that someone could turn into their own whirligig. 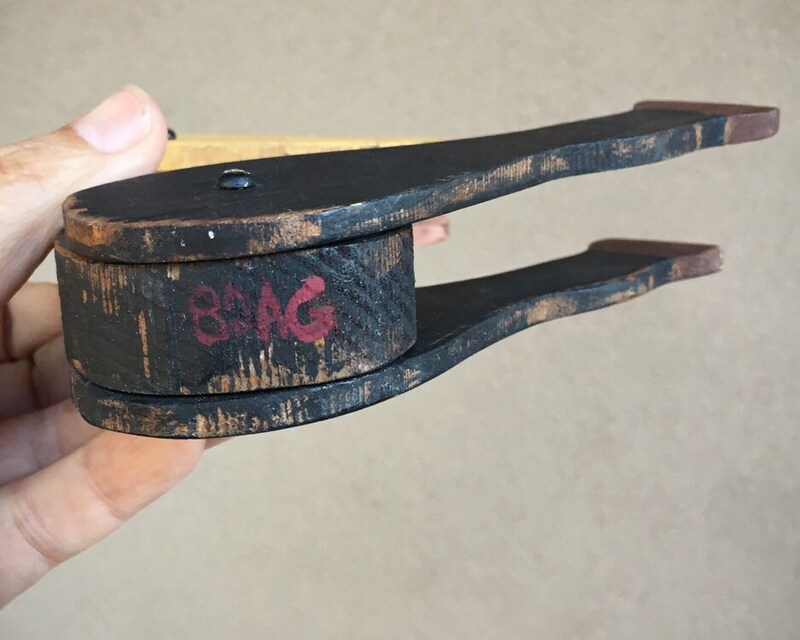 He has initials on the bottom that appear to read BOAG or BDAG. 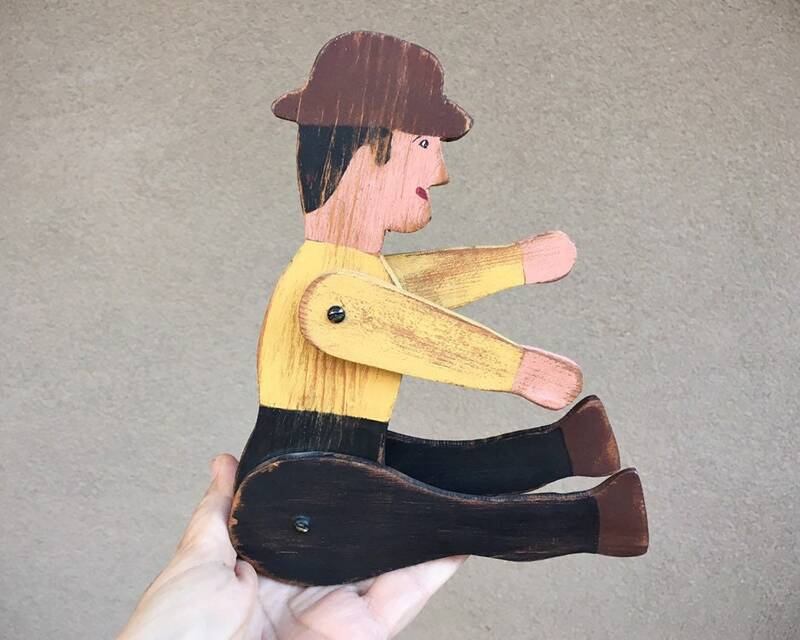 His hat is in the same style of primitive folk art farmers, and I imagine that's what he is intended to be. 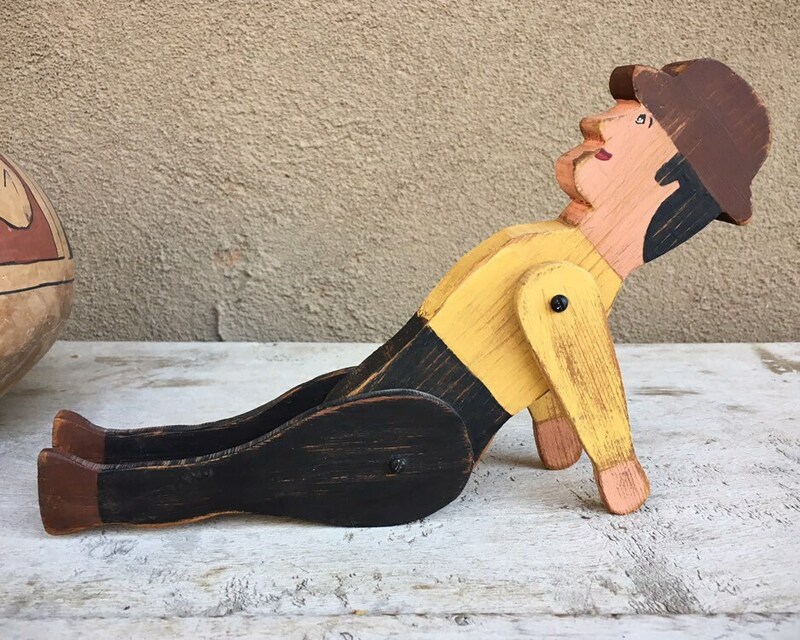 Use to create your own whirligig or add him to your collection of primitive folk art. Stands about 11" tall when legs are extended by about 2-1/2" wide and 1-3/8" deep. 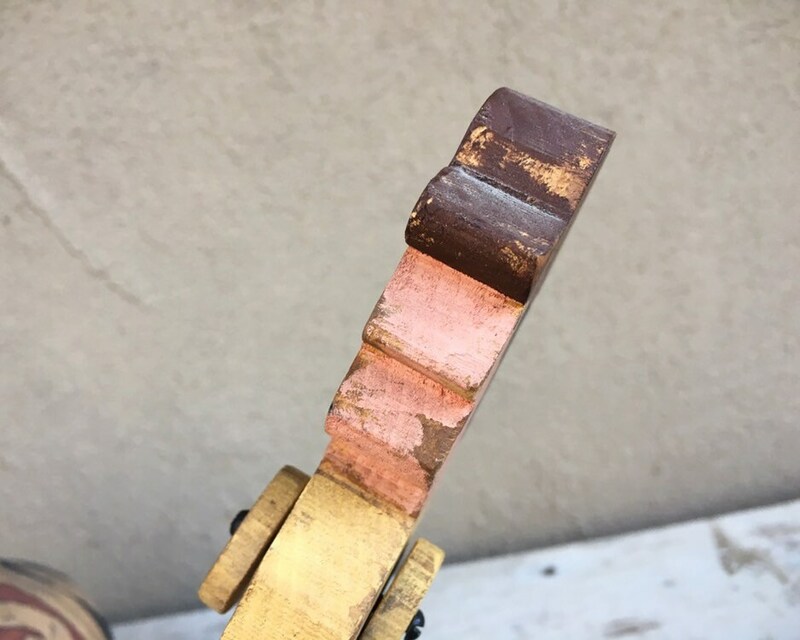 The paint is quite faded and rubbed off by age and in part by design. Legs and arms still movable.